Peer to peer prevention tools have gradually been recognized as being the most effective way to educate against bullying and hate speech by sociologists and education experts. Helping youngsters to become up standers as opposed to by standers is one of the core goals of the Respect Zone initiative. Volunteers are invited to apply to become a Respect Zone Ambassador. Eventually to become one, you ought to pass the Respect Zone Moderator Certificate (the Certificate is one of the key projects of Respect Zone). A Respect Zone Ambassador is a person within the school or the class or their organization. 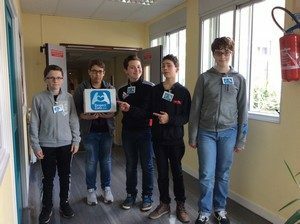 The role of the Respect Zone Ambassadors consists also in explaining and in caring and attempting to be a liaison person to the benefit of his or her peers in connection with bullying or hate speech matters. The Ambassadors will be invited to serve a contact persons and mediators. They are invited also to participate in educational awareness programs and help sharing fundamentals about the content of the Respect Zone Charter. Respect Zone Ambassadors do make presentations about the Respect Zone tools and the it approach outside of their groups. They are the Respect Zone Ambassadors’ task force.